SC volunteers at Habitat for Humanity project. 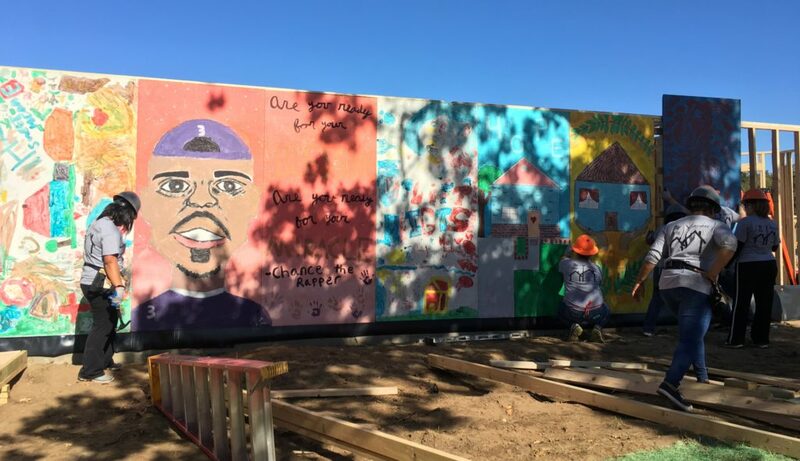 Habitat for Humanity’s recent build in one south Dallas neighborhood fit the description. Volunteers from Santander Consumer USA (SC) were part of a Habitat group erecting one of more than a dozen homes over several days in a part of town known as Joppa. “Some worked on the homes; framing, installing windows, roofing, cleaning or helping in the kitchen to feed them, but each person had a goal, and it was a success!” according to Jordan B., one of several SC volunteers who worked in the project kitchen. “It was an amazing experience to see hundreds of people working together to build a whole street,” said Meredith G., another SC volunteer. 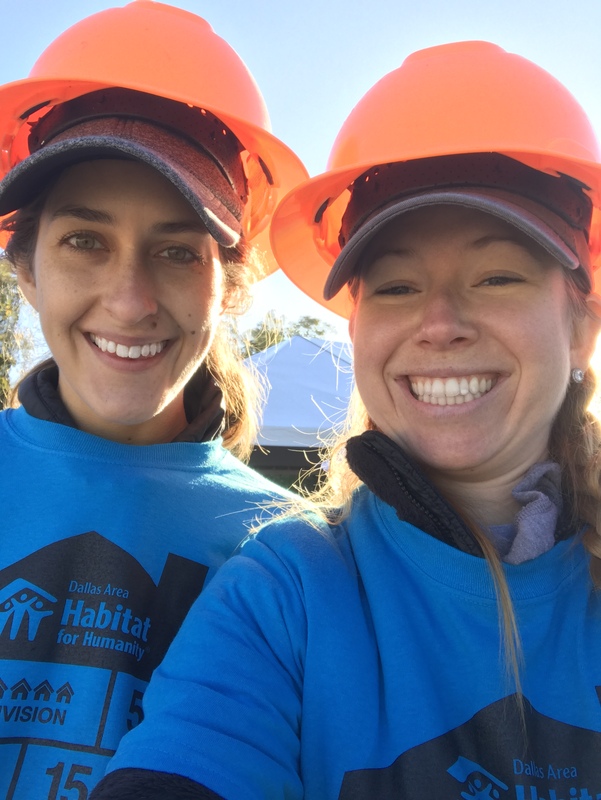 “Watching everyone out there work for a common goal was inspiring,” said Jordan B.
Habitat for Humanity is a non-profit organization that helps homeowners and communities build homes with the assistance of volunteers to improve the lives of the homeowners. The SC group was working as part of the company’s Volunteer Paid Time Off (VPTO) program. Through the program, the national auto lender encourages more than 5,000 employees to give back to their communities by participating in charitable events and activities. Besides the volunteers, Habitat involves others in the community in their projects, which includes financial and other contributions from churches and businesses. In Joppa, for example, the organization provided local elementary schools large pieces of plywood for students to draw on and paint. The plywood boards were placed on the sides of the houses before Habitat building crews put siding on them. “Each house has unique boards filled with so much love for our community,” said Jennifer H.
The VPTO program represents no small commitment by the lender, which is based in Dallas, TX, affording employees the opportunity to take a full workday off to help those in need and also benefit personally from the experience. It’s a win-win situation that has worked very successfully for the auto lender and the organizations that benefit from the help they receive, with SC employees volunteering almost 10,000 hours in the first nine months of 2017. The program is so successful, in fact, that SC has doubled Associates’ annual VPTO allowance to two days. But it wasn’t just Habitat for Humanity that created the volunteers’ enthusiasm. Habitat volunteers at work in Joppa.